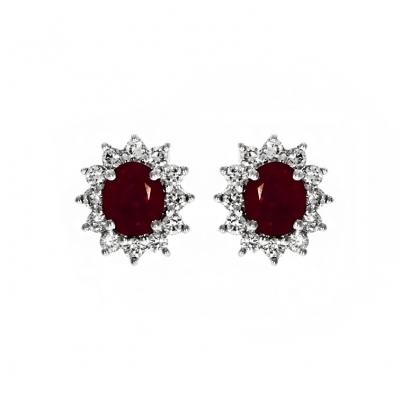 Moving into the summer month of July, we have the birthstone, ruby. This striking gemstone is full of symbolism, colour and elegance, bursting with vibrant red hues which are synonymous with this stone. In fact, its name is derived from the Latin word ‘rubeus’ which means ‘red’. 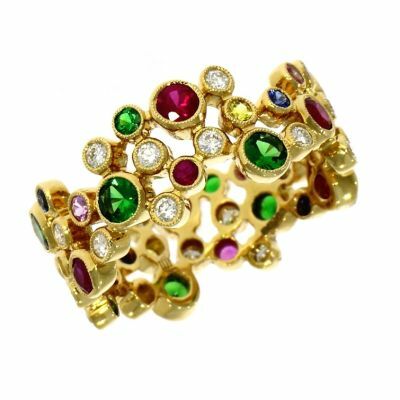 The term ‘King of Precious Stones’ is not simply a superlative but is the translation for the ancient Sanskrit word for ruby, ‘ratnaraj’. However, this sensational term for the gemstone finds grounding in reality as they were often favoured by royalty and nobility. Rubies have been historically associated with life, vitality, energy, courage and success in wealth, love and battle. They were even used by Chinese noblemen to decorate their armour as they believed that they would be granted protection and good fortune in their battles. In ancient Hindu culture, it was believed that offering rubies to the god Krishna would allow the individual to be reborn as an emperor. 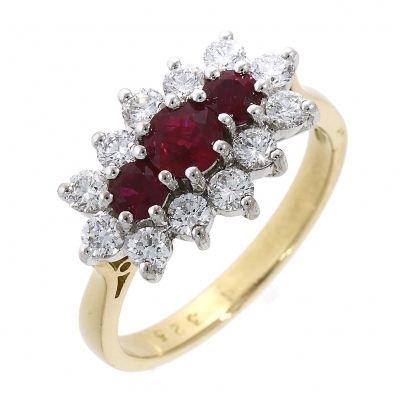 In other cultures, the ruby was more commonly associated with love and was often seen as a wedding gem. Not only does the ruby hold a great deal of symbolism, it is a particularly beautiful stone holding an exquisite deep red colour. It is often paired with diamonds, creating a striking contrast between the two stones and offering an elegant piece of jewellery that is sure to capture the imagination. 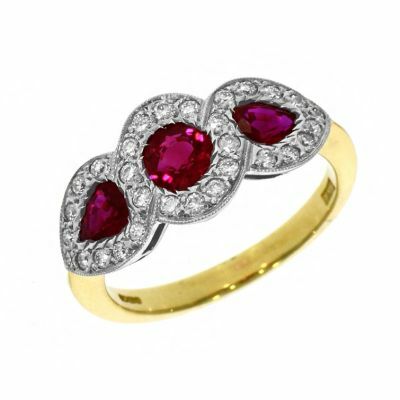 As the ruby is associated with such wonderful symbolism, from courage to love, this is a fabulous birthstone that would make the perfect gift for a loved one with a July birthday. You can view our wide selection of ruby jewellery at our Lancaster or Kendal store, or view the collection below. We offer 0% finance on our new and selected ruby jewellery from £500.